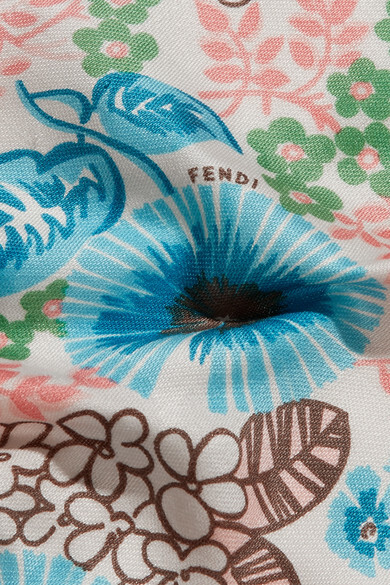 For Fall '18, Fendi's Creative Director Karl Lagerfeld designs scarves and neckerchiefs that are inspired by his lifelong collection of antique table and bed linens. 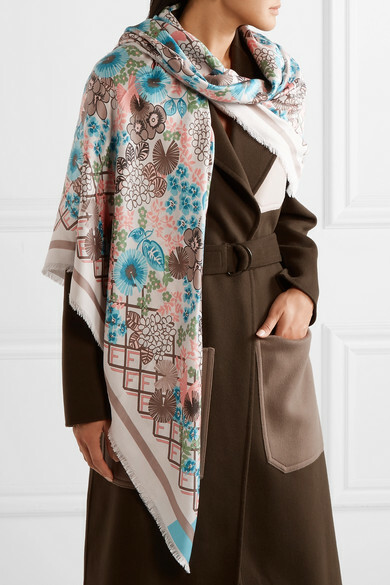 Made in Italy from a silk and wool-blend, this floral-print one is accented with the label's iconic 'F' logo and has a delicate frayed trim. It's generously sized to drape across the shoulders or wrap around your neck twice. Shown here with: Joseph Coat, Fendi Skirt, Fendi Boots, Laura Lombardi Earrings.